Catholicism illustrates the history and treasures of this global religion shared by more than one billion people around the world. 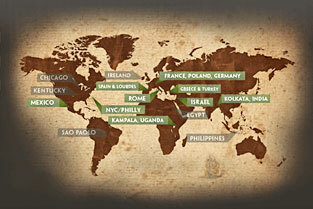 The panoramic presentation is filmed in stunning high-definition and spans more than 50 locations in 15 countries. Using art, architecture, literature, music and all the riches of the Catholic tradition, Father Robert Barron tells the story of Catholicism around the world. The production crew travels to some of the most magnificent and sacred sites in Jerusalem, Rome, Krakow, Warsaw, New York, Istanbul, Ephesus, Lourdes, Mexico City, Athens, Corinth, Mexico City, Uganda, Manila, Sao Paolo, Auschwitz, Kolkata, Philadelphia, Chicago, and beyond. The team was granted exclusive access to film privately in many locations inaccessible to the general public. Highlights include some of the worlds architectural and artistic masterpieces and most sacred places including The Dome of The Rock, the Hagia Sophia, the tomb of Mother Teresa, The Church of the Holy Sepulchre, rare views of the Pantheon, St. Peters Basilica, the Sistine Chapel and the Popes private gardens, Chartres, Notre Dame, and Cologne Cathedrals, as well as one of the largest religious celebrations on the planet  the feast of the Ugandan martyrs. 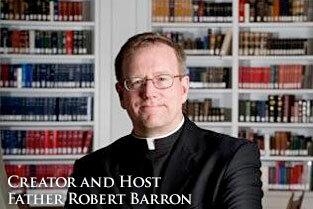 Father Robert Barron, the Francis Cardinal George Professor of Faith and Culture at Mundelein Seminary and a priest of the Archdiocese of Chicago, is the creator and host of the series. The executive producer is Mike Leonard, an acclaimed filmmaker, veteran correspondent for NBCs Today show, and producer of the popular public television series The Ride of Our Lives. Together, Fr. 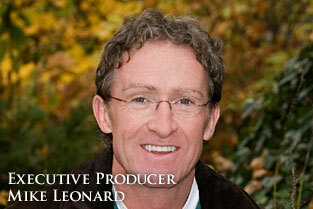 Barron and Leonard spent two years traveling the world with a crew of seasoned network television producers.